True .. or not ? Time will tell. They are also reporting that SheiKra has come out of its annual refurb minus the water shoots .... !! Pictures seem to confirm this. I find this sad as it was always a great place for the kids to stand and get soaked, especially after they took Tidal Wave out, and the infamous bridge. I'll be back in a couple of weeks so I'll check it out for myself. I'll also be back on March 9th, as I'm booked on the coaster insider tour, so that should be interesting. 2 hours of wandering around Cheetah Hunt and Cobra's Curse followed by a walk to the top of SheiKra. Should be fun. The water fins can be easily added and removed with the turn of a few bolts. My guess is that their current absence might be a function of the season, and not necessarily a permanent feature. If you didn't know, they have a number of different fins that spray water in different patterns (or at least they do on Griffon) that can be swapped out to create different effects. The splash-down also provides a natural braking effect, so removing the fins will cause the trains to enter that final carousel turn at a higher speed. If you get a chance to tour SheiKra's station, definitely ask your guide about it. Interesting notes about Gwazi. I would be really surprised that Cedar Point would allow Steel Vengeance to be topped after just 2 years, but maybe that was already predetermined and what has caused Gwazi to sit SBNO for such a long time. Losing the dueling element will be disappointing, and I hope the makeover will not be as long and redundant as SV. I go over to BGT 3 or 4 times from October to March and I have never seen SheiKra run without the water shoots. But I agree, it's only a couple of bolts securing the hardware. It's odd after all these years they have decided to take them off. At least I have plenty of photos of SheiKra going thru the water, so some good memories if they never reappear. But yes .... a definite question when I do the tour in March. Even if they are back on by then. I agree with your assessment of the "long and redundant SV" Interestingly on checking the coaster wiki .... The old Mean Streak was a shade under 5500ft. SV is 5740ft. Gwazi's total track is close to 7000ft !! ..... Let's hope RMC has listened to what people have said about SV. 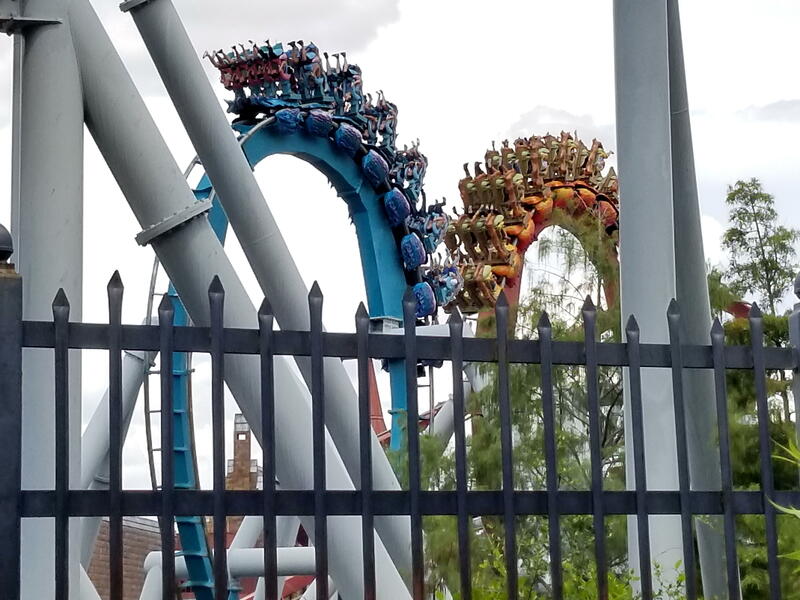 The SheiKra scoop removal might be a maintenance issue too. Not necessarily for the coaster, but for the splash area, which tends to have puddles that may be affecting storm drainage in the area. Another comparison for Gwazi would be Colossus, which had dueling 4,325-foot tracks compared to Twisted Colossus, which now has a 4,990-foot mobeus track. After riding many RMC's last year I am super excited for new Gwazi. Unless they screw this project up bigtime (which I can't see how that happens) it will unquestionably be the best coaster in Florida. Received this today re. BGT 60th anniversary celebrations .... interesting little insider tip add-on at the end ... ! Join us as we kickoff our 60th Celebration with a live performance of “Women Rock” with the Florida Orchestra at 7 p.m. followed by a spectacular fireworks finale at 8:30 p.m. Pass Members, stay tuned for a special FREE gift just for you! Insider Tip: Come early for a special announcement about our all-new attraction, coming in 2020! The field opens at 5:30 p.m.
Everyone is pretty convinced that BGT will spill the RMC beans on March 1st, which is kind of funny that they're probably going to give a name and layout for a coaster that won't be done until summer 2020, yet Universal has yet to name their HP coaster that's supposed to be open in less than 4-6 months.